Mold (sometimes spelled ‘mould’) is a type of fungi of which there are well over 100,000 species. 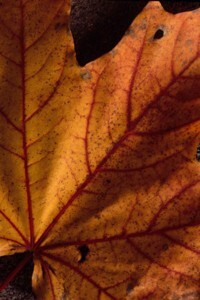 The original thought that molds feed on decaying leaves and wood is only the beginning. Mold will consume anything organic if you add water or moisture: all plant products such as wood and paper which includes paper, drywall, furniture, clothes, flowers (dead or dried); all dead animal products such as house dust, leather, old meat, dog (and cat) feces. Mold tends not to grow on concrete, plastics and resins, glass, ceramic tile unless there is an abundance of dust covering it and good moisture conditions. It is molds digestive result (excrement) that emits a gas that emits that ‘moldy’ smell. Some molds release gas that has been proven toxic. Molds are a microscopic multi-cellular organism that for years were thought to be plants, even though they consume other organic matter. Then it was discover that molds lack that important plant ingredient, chlorophyll. 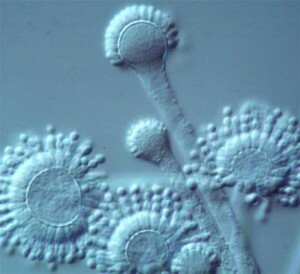 This discovery has solidly placed mold outside both the plant and animal kingdom. The exact classification of mold has proven to be very elusive to scientists. Considering strange facts such as: mold does not have a stomach, can live dormant for hundreds of years and has been proven in tests to actually have a rudimentary intelligence. It is clear we are dealing with a very curious link in the Earths biota. 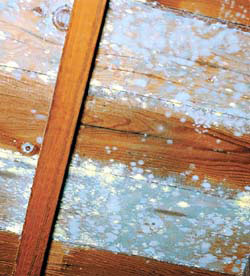 Mold is nearly everywhere yet is not seen to the naked eye until it gathers in colonies. Its growth rate once provided with with water or even a small amount of moisture is typically exponential. Visible mold represents a lot of mold. 1 million spores per square inch is not an unusual count in a growth colony. Regarding the inside of an enclosed area such as a house or basement disturbing this mold even with the slightest breeze can send tens of thousands of mold spores into the air and unto other non affected areas. That is why mold removal and remediation is done under such strict measures of containment.